NOTE: This content is old - Published: Wednesday, Mar 21st, 2018. Potholes have been in the spotlight this week – mainly due to the latest ‘Annual Local Authority Road Maintenance (ALARM) survey, produced by the Asphalt Industry Alliance (AIA). The survey found that cash-strapped local authorities have identified 24,400 miles of road in England and Wales in need of essential maintenance in the next year. Poorly maintained roads can be a nightmare for motorists and cyclists. Even hitting a pothole at slow speed can cause extensive damage to vehicles, while cyclists face risk of serious injury. The RAC say the have seen a “concerning” rise in the number of drivers breaking down after hitting potholes. The breakdown recovery firm blamed snow and icy conditions, and warned many roads were “hanging in the balance”. It was called to 2,830 pothole-related breakdowns between October and December last year, compared with 2,547 in the period a year before. 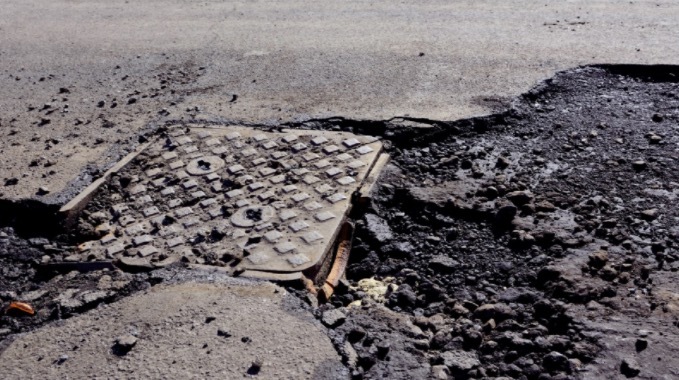 Chairman of the AIA Rick Green warned that the deterioration of local roads ‘continues to accelerate’ because maintenance funding has ‘fallen short for so many years’. AIA say the cost of getting roads in England and Wales back into a reasonable condition has increased to £12bn. Its study said too much money was still being spent on fixing sudden cracks and patching holes rather than on long-term maintenance and investment. Over the last decade, the AIA ALARM survey has reported that 17.9 million potholes have been filled, at a cost exceeding £1 billion. In 2015, the number of potholes filled reached record levels with 2.67 million filled, yet the number filled each year has been steadily declining, down by 7% in Wales last year. “Nevertheless, potholes are symptomatic of poorly maintained roads and potential underlying structural issues,” says the AIA. In Wales 1,932 miles of road was found to be in a poor condition in 2016/17 – around 26 miles of it in Flintshire. Sort out the pot holes! Yet, according to the latest data Flintshire has the lowest proportion of crumbling roads in Wales. In 2012 – 8.6% of the county’s roads were deemed to be in poor condition, that has dropped to just 3.4% in 2017 – the average in Wales last year was 7.7% of roads in poor condition. The data is based on the inspection of road surfaces using machine based SCANNER surveys, the percentage figure is the amount of road which hits the “RED” threshold; that is in poor overall condition. The figures ultimately mean Flintshire has the best roads in Wales, by contrast neighbouring Wrexham’s were the third worst in Wales with nearly 13% of their roads network in need of repairing in 2017. 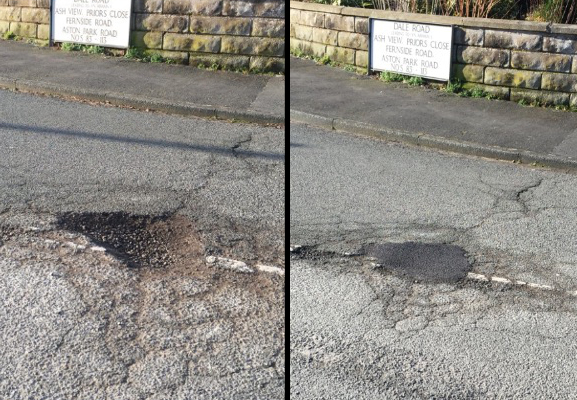 Flintshire appears to be actively filling in potholes when they appear or are reported, the picture below shows a huge pothole in Aston which appeared to get significantly worse over recent weeks. After we posted a picture of it on twitter, just before the recent cold snap – the council’s Streetscene department patch repaired the pothole within a day or two. 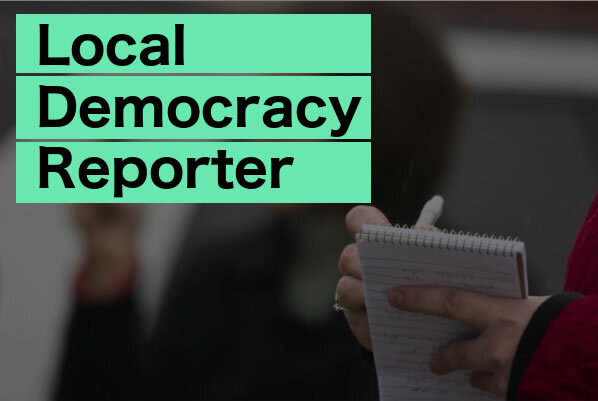 ‘Flintshire County Council says they ‘work hard to maintain and promote an effective transport network for the daily use of residents and visitors to the County. Staff from the Council undertake regular condition surveys on the highway network to ensure that our roads are kept at a high standard and as free from defects as possible.  The Welsh Government is responsible for the A55 and A494 through Deeside, they say it is regularly inspected and any safety related defects addressed. “In February the Cabinet Secretary for Local Government and Public Services Alun Davies announced £30m for councils in Wales to improve the state of roads in their areas.” A Welsh Government spokesperson said.